1) Stay on the trail. Stay on the designated marked route. The course will be well marked with flags and marking tape. Some of the trails will go through protected wildlife areas and we do ask that you stay on the trail to avoid harming these sensitive areas. 2) Be courteous to other trail runners and hikers on the trail. -be patient when you are part of a conga line on crowded racing trails. -Slow runners yield to faster runners. -If you would like to pass a runner, give a courteous and audible announcement well in advance of your presence and intention to pass stating something like “on your left” or “trail” as you approach the trail users. -Show respect when passing, by slowing down or stopping if necessary to prevent accidental contact. -Be ready to yield to all other trail users (bikers, hikers, horses, ect.) even if you have the posted right of way. -Uphill runners yield to downhill runners in most situations. 3) Don’t Litter -Runners are encouraged to bring a hydration bag, belt, or bottle. – Disposable cups will be available at each aide station. Kindly dispose of the cup in the trash bins at the aide station before proceeding on your run. -Pack out everything you started the race with. Food leftovers should not be thrown on the course, they should be kept with the runner until they reach the next aide station, disposal area, or finish line. 4) Safety – be familiar with your route. You are expected to negotiate many rocks, roots, hills, possibly some climbs and get your feet wet. The technical nature of the trail will mean that you will be exposed to the risk of injury. All participants must be prepared to accept full responsibility for these risks. – be prepared for the weather and conditions prevailing – No headphones or iPods. – Know and respect your limits. – Each runner is strongly advised to carry a fully charged cell phone with the race director’s number, a fellow runner number, or some other contact that may be at the race venue for safety and emergency use. -If part of the route crosses a road, you are to yield to any vehicles before proceeding to cross the road. -No crew/pacers/spectators on the route. Crew or spectators are allowed at designated areas. 5) Leave what you find -Leave natural or historic objects as you find them, this includes wildflowers and native grasses. -Removing or collecting trail markers is serious vandalism that puts others at risk. 6) Bandit Runners -Trail 2 Trail Series does not condone bandit runners. Not only are bandits a serious safety and liability concern for the race directors. There are limits in the races set forth by permit. Bandits can jeopardize the issuance of future permits. -Participants are not allowed to run with dog(s) during the event. 7) What if I am dropping out? If you are dropping out before distance you are registered for, you must let the Trail 2 Trail series staff members know you have dropped out from your registered distance. This will help to avoid an unnecessary search party. Trail 2 Trail also gives the option for runners to change categories ‘on the fly’ during the race; so you can register for a longer distance, but if you are unable to compete it for whatever reason, you can update your race category backwards to a race distance that you did complete. In other words, if you registered for a 20k and only able to complete a 10k, then notify the staff that you want to change you race category down to 10k. Otherwise, those who have not finished their registered distance will be given a designation on the race results as DNF (“Did Not Finish”). 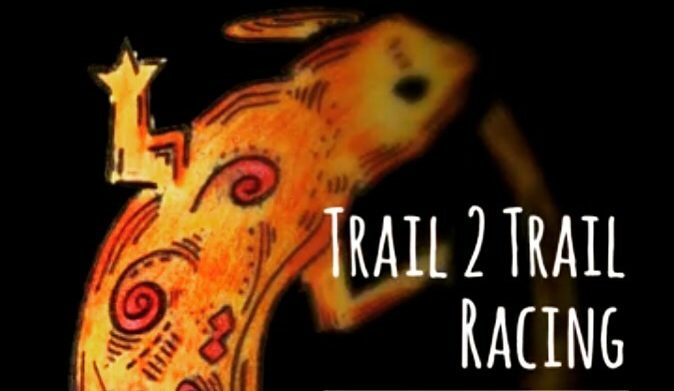 8) Trail 2 Trail requires participants to follow all race rules. Those who do not follow the rules are at risk for disqualification.